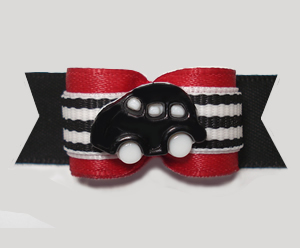 BowBiz dog bows with cars, trucks and planes are perfect for use as Yorkie dog bows, Maltese dog bows, Shih Tzu dog bows, Bichon Frise dog bows, Poodle dog bows, Lhasa Apso dog bows, small dog bows & puppy bows, etc. 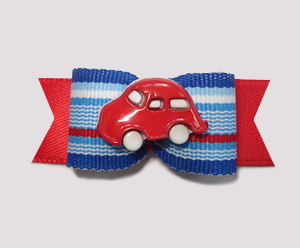 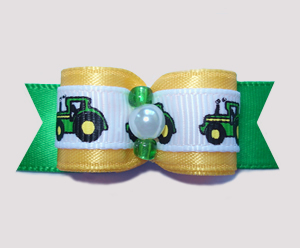 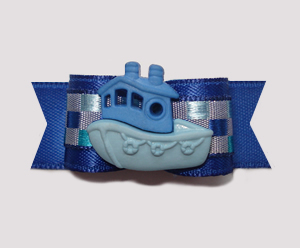 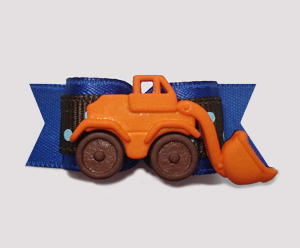 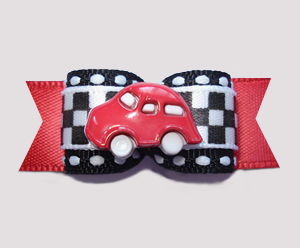 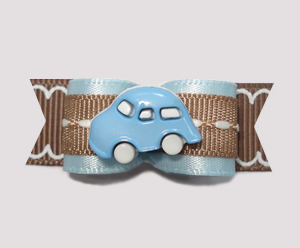 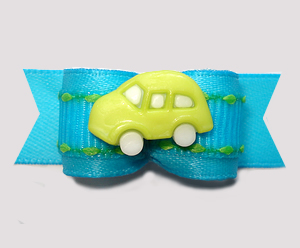 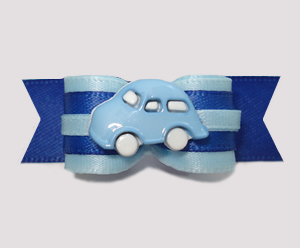 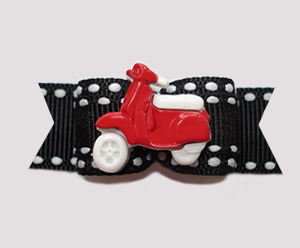 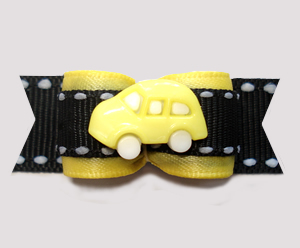 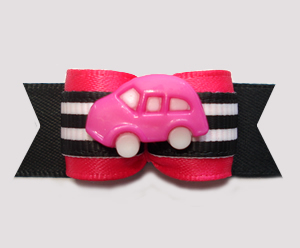 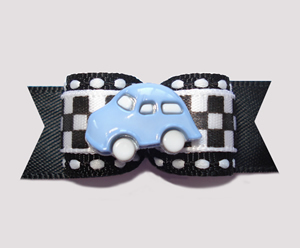 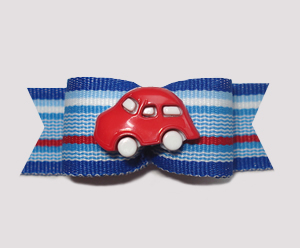 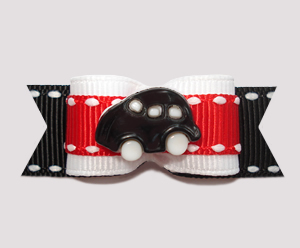 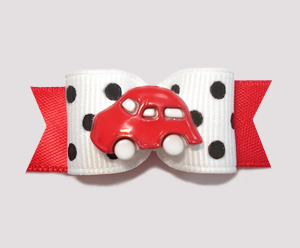 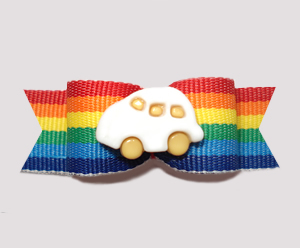 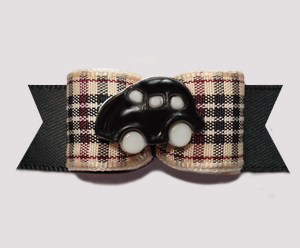 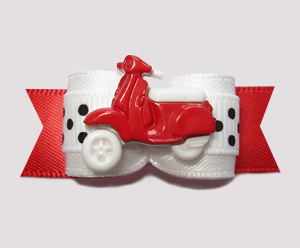 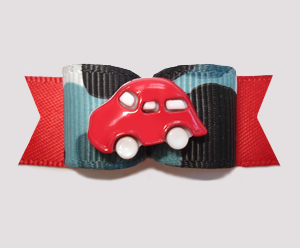 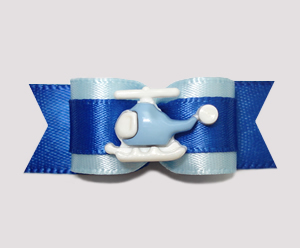 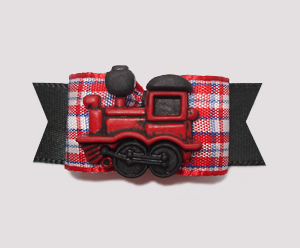 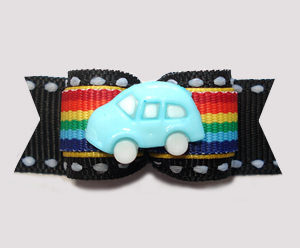 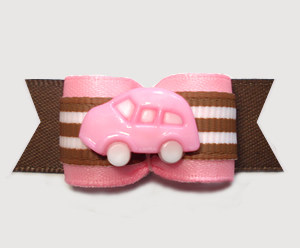 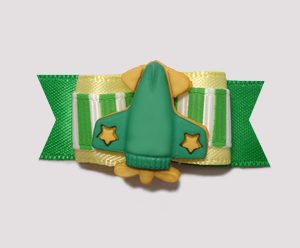 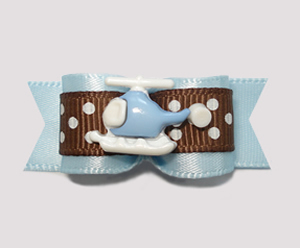 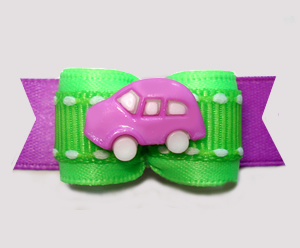 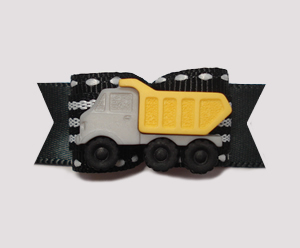 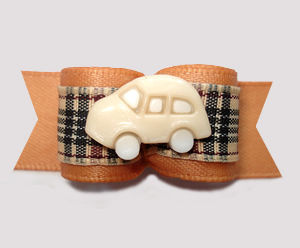 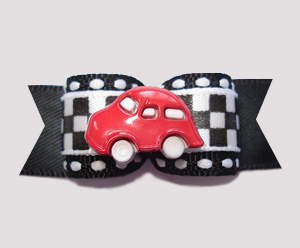 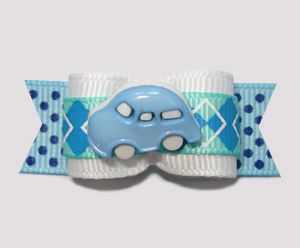 You may also be interested in the NAUTICAL DOG BOWS or the larger 7/8" BOWS: CARS | TRUCKS category. 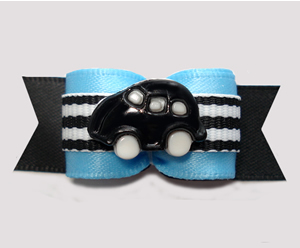 #2786 - 5/8" Dog Bow - Blue/Black Camo with Red Car, Vroom!